Today our senior ladies were the only senior fixture in the club so it was up to us to put on a show for the adoring fans. After a somewhat rocky start we came away with a comprehensive win. Clondalkin are never an easy game and despite the score line, today was no different. After a strong carry from Danni Callinan a score came on the wing from Chloe Farrell. 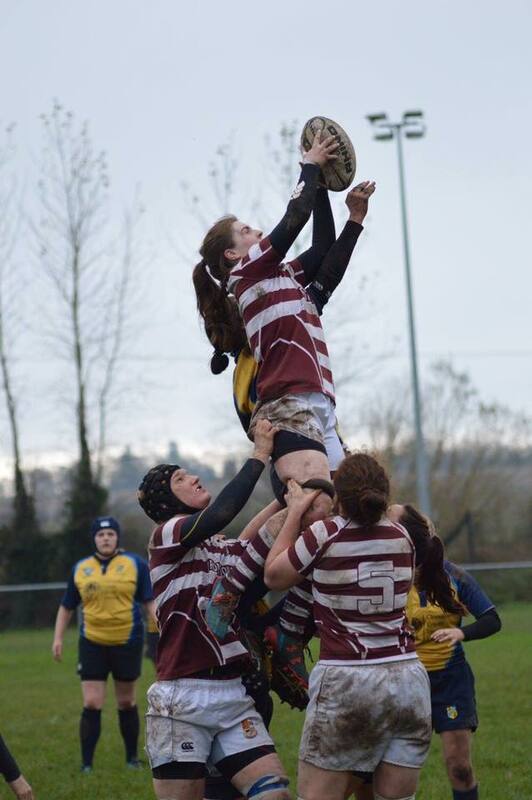 There was a high tackle from outhalf Catherine Dempsey which saw us defend with 14 players. Clondalkin punished our lack of numbers out wide with Sara Phelan evading too many tackles to score under the posts. Clondalkin converted making the score 5-7. The beginning of the second half was a time for patience and defence. Clondalkin had many strong carriers and a string of Tullow penalties, tested our defence to which we responded as a team. Lana Brennan stopping anything that moved in their tracks. The first try of the second half came from flanker Grace Kelly which Dempsey converted. 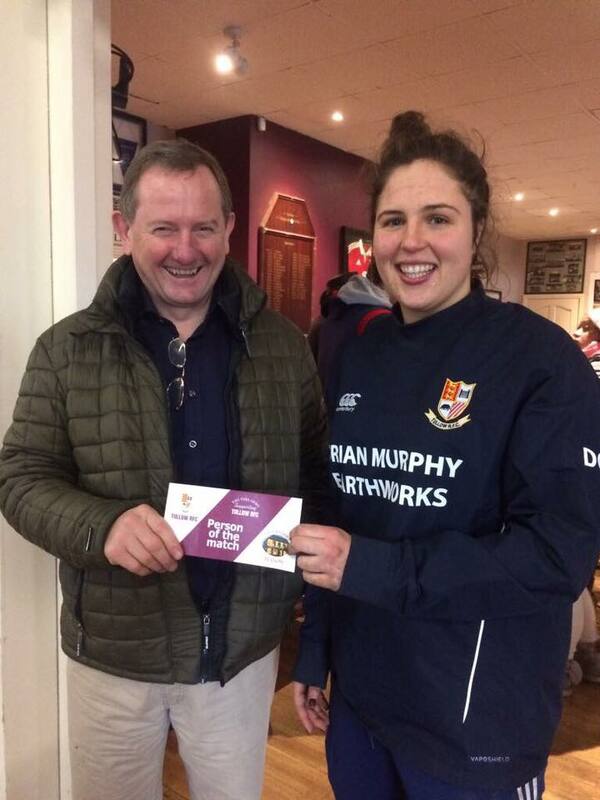 Then a Clondalkin kick that didn't make touch found Grace's hands and she tore a hole in the defence again, this time passing out through the hands to find Callinan for a well deserved try of her own. Which Dempsey converted. The next try came after a magnificent carry from Nicola Caldbeck breaking numerous tackles and a pop up to a supporting line and an easy finish for Clare Nolan. The last try of the game was in fact the last play where after a number of forwards picked and went, Caldbeck landed over for her own try. Special mention to Emma OBrien who christened her twins this morning and came on in the second half and Katie who almost wore her gear to wet the babies head to make it in time to start. Also thanks to Julie Corrigan for the photos.